by Adam -- Occasionally you just want to drive something unique or different. To not see the same make or model next to you, across the light from you, in front and behind in the carpool lane. Well the more I think about that the only way to get a car that unique is to go where the population had few choices, but choices we didn't have here. 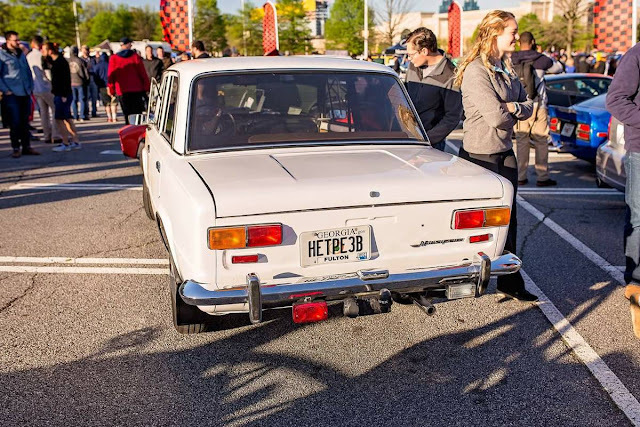 While I don't see why you can't import three cheaper and have a daily driver, track car and parts car in one shipping container along with a family of gypsies than this example you probably won't find another Lada in the parking lot at the PTA meeting. Get one and sell later to the hipsters for profit. Find this 1983 Lada VAZ 2101 in Atlanta on Craigslist for $6,499. 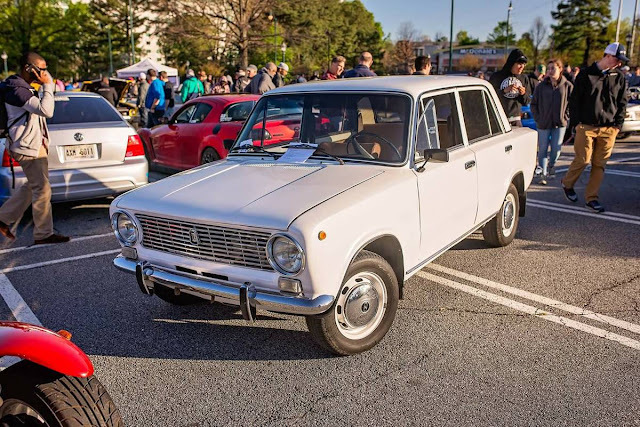 The Russian built VAZ-2101 is a re-engineered and licensed version of the Fiat 124 which is why it looks a little familiar, but not really. With over 800 revisions from the original the VAZ-2101 can't say that all of the changes were good, but still were necessary for the conditions. Early models had cranks for the engine to help when the Cold War was still hot and the Siberian nights killed your battery. Increased ride height for your commute to the commune. Rear brakes changed from discs to drums because newfangled technology is for the bourgeoisie and capitalist pigs. If drum brakes were good enough for Lenin then they are good enough for the masses! Raul Castro even rocked one like this. That is solidarity; painful, but solidarity. What were you driving in 1983? Guaranteed it had more than 67 horsepower. 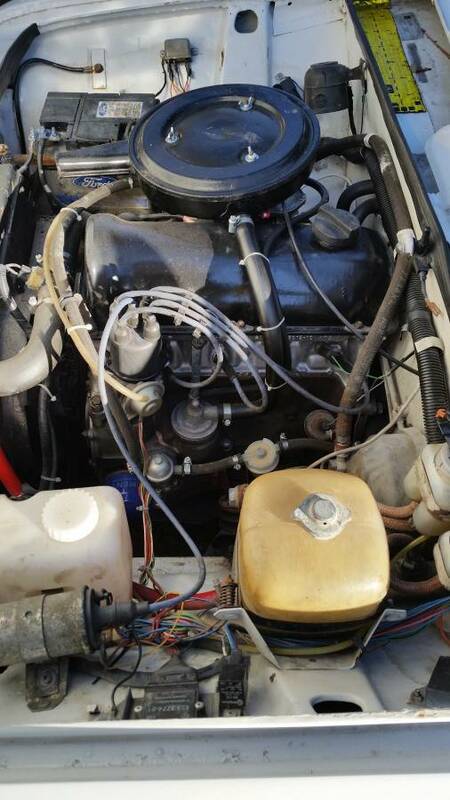 The VAZ 2101 was powered from 1974 to 1981 by a 1,294 cc (79 cu in) engine putting out 67 horsepower to the rear wheels. If you were KGB the larger engine with 1,452 cc was available. Can you feel the power? Mated to a four speed transmission 0-60 time is still classified in the Soviet Union, but reported by defectors to be approximately 20 seconds. With only 30K kilometers on the odometer or 18K miles this Lada is ready to terrorize the West. The VAZ 2101 was built virtually unchanged from 1970 to 1988 in Russia let that fact sink in. Walls were built, embargos put in place, and the North Atlantic Treaty Organization formed to contain a Soviet Union who was producing copies of Italian cars even the Italians were not producing. But then the nuclear missiles, tanks and aircraft were domestically designed and produced so they did have that going for them. The interior, while barren is in good shape. Simple but gets the job done and pulls in the babes. Chicks dig the styling. One of Rock and Roll's greatest bands had a "Whole Lada love" how about you comrade? A refugee from the frozen north who loves running and water sports, Adam can be found looking for the next slow car to drive fast when he has access to electronics he hasn't immersed in liquids. He is an analog kid, not a digital man. Oh my gawd! These were sold in Canada (aka Soviet Canuckistan) in the early 80s. I test drove one. Total horror. Crude does not begin to describe it. It was a true pleasure to get back into my 1972 Datsun 510 Wagon with 100,000 on the clock. And this particular car has a smaller engine than what we were offered? All I can say is "Nyet". Many taxis in Jamaica were these. Bad drivers driving bad cars. What could go wrong? 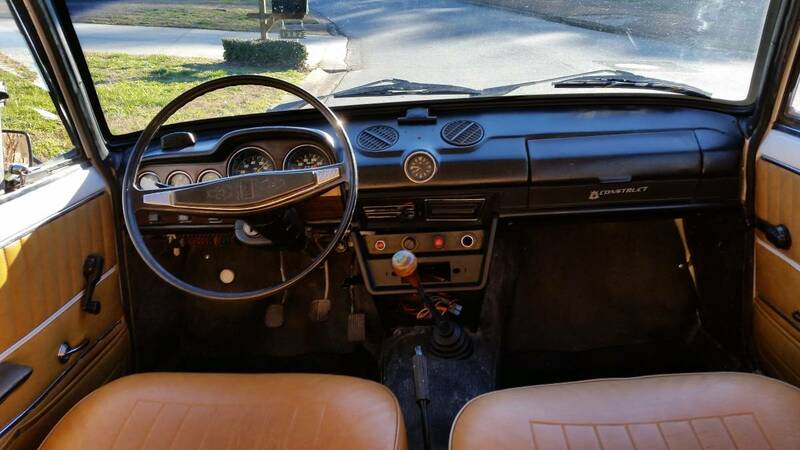 Seems like a decent restoration, even though the dash is from a much later variant of this car. Also, these never came with 5-speeds, so not sure where this one is from. I wonder if that engine has enough oomph to propel it in overdrive. Nice catch on the plate. Does that describe the buyer, seller, or the person at DMV who approved the plate? All three possibly.